First, what archetype are you? In this first podcast in the series, I talk about the power of who we are and why our archetypes keep us comfortable in the way we do things. Since humans are very herd-like people, we often find ourselves happiest when we can behave in ways that match our styles, personalities and archetypes. This tendency should not be underestimated as a powerful hurdle to overcome if you are going to change a team or a group in your company, or even the entire organization. If over the years you have recruited employees who are very similar and share common beliefs and values, you are going to have to help them do things in new and different ways that may challenge the very essence of who they are. For example, take a look at this CultureTalk survey (at www.culturetalk.com) and see what type of person you are. Are you an Explorer, like I am? A Ruler? Perhaps you are a Magician or a Caretaker. When you have a team of people that you want to change, you should begin by knowing who they are today. Then you can think about the best way to help them change for tomorrow. It also shows how companies become archetypes. Ikea, for example, is an Everyman company. Nike is for Heroes. Jeep is for Explorers. What is your company's archetype? 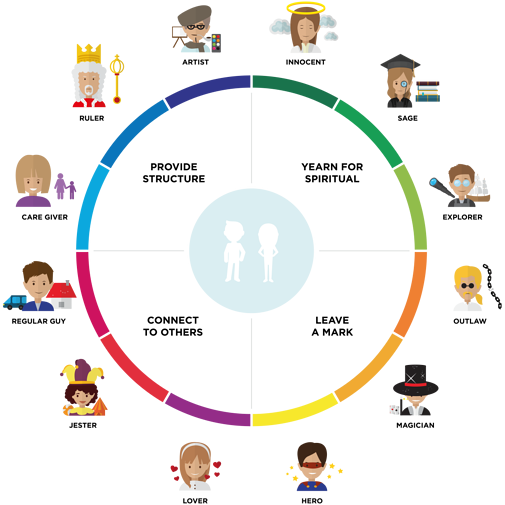 What are the archetypes of your employees? Think long and hard on this because the answers you come up with have a lot to do with how to start, implement and sustain the changes you need or want to implement in your organization. Next, what archetypes are your team members? Once you have a sense of the archetypes you are dealing with, you then need to understand that this is only part of the challenge. The second critical part of change management (discussed in my next Ask Andi podcast, "Change Management Step 2") focuses on the differences among the generations. Boomers are very different from Gen Xers (who are now in their 40s) and both of these are very different from Millennials (Gen Ys) who will make up 50% of the workforce by 2020. Add to this the changes coming in the way we work and in the nature of work itself, as well as the changes that are already here, such as robots and AI, along with the power of new technologies like blockchain. I will pause here and save my next thoughts for the second podcast in this series in which I shift gears and talk about cultures: how to assess your culture today and determine how you would like it to be in the future. Please join me for that one too, as there's a lot more to learn! Blog: Blockchain Is Not Coming, It's Here. Are You Ready? Blog: AI Is Infiltrating Every Corner of the Business World. Is This A Good Thing? Need some help adapting to today's massive changes? Let's talk. More than ever before, businesses need to be able to sustain growth in changing times or risk being left hopelessly behind. Are you nimble and adaptive or stuck in the old ways, the "that's how we've always done it" syndrome? Do you have a plan in place for the future or are you on the brink of being disrupted? At Simon Associates Management Consultants, we specialize in helping organizations change, grow and thrive amidst today’s fast-changing times. Please contact us. We'd like to help.